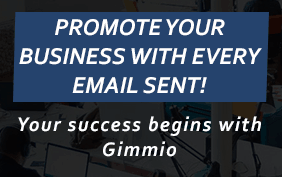 Smart marketers and business owners understand that email marketing will enable them to skyrocket their sales and take their results to the next level. No matter the industry in which you operate, using emails to stay in touch with your audience and to build trust is a vital factor that you can’t overlook if you want to have any hope of long-term success. Because of the impact that it can have on their bottom line, people put a lot of thought into each email that they send, but they forget to ensure that the subject line stands out from the crowd. Your message might be important to you and your company, but that does not mean your prospects will see the value. If you want people to give you their time, it’s important your subject line highlights the main benefit that people can expect to gain from opening your email. The thing that you think people are after could be accurate, but making assumptions is dangerous. You will want to conduct market research to gain a better understanding of your prospects and the problems that they are facing. You can take this concept even further by paying attention to the words that your customers use when they describe their situation to you. Repeating those words in your subject line will inspire a connection, making people feel as though you understand them on a deep level. Some marketers will try to fit as many words as they can into the subject line to get their point across, but you don’t want to fall into that trap. Using more words than needed will water down your message and take away the impact that it can have on your prospects. As you craft your subject line, be critical of each word that you use, asking yourself if you could remove it without changing your message. If you can delete a word without making your point unclear, then doing so is the best course of action. You must keep in mind, though, that this idea can have gray areas that are subjective. Words that help paint a picture are vital to your message, so you won’t want to remove them. While they run their email marketing campaigns, business owners and marketing experts will often send their message from an unknown email address or company name. Your prospects want to do business with people whom they know, like and trust, not a faceless company. In your quest to inspire your audience to buy from you, humanize yourself as much as you can so that people will feel comfortable interacting with you. When you release content on your website or blog, you want to make sure that people remember your name. As long as you provide engaging articles, videos or podcasts, people will start to associate your name with quality and dependability. Using a faceless email address to send your emails is a waste of all of the hard work that you have invested into building your personal brand. On the other hand, sending your message from an email address that contains your name will work wonders for your response rate. No matter how tempting, avoid exaggerating your claims in your subject line to enhance the number of people who open your content. That approach will probably work at first, but your subscribers will soon discover your dishonest tactics. Not only will this inspire people to unsubscribe, but it could also get you in trouble with spam prevention laws. When your goal is to get people to become interested in what you have to say, one of the top ways to achieve your desired outcome is to make them feel special. People want to feel like they can get deals and bonuses to which the general population does not have access, and you can use this fact to your advantage. In your subject line, mention that you are offering discounts only to people who are on your mailing list, and your audience will notice. You can take it up a notch by including a deadline for accepting the offer, and you will be shocked when you see the outcome.